‘Tis not the season to run yourself ragged, but I know that for many women, that’s what happens during the holidays. If your constant companion is an endless to-do list, you are not alone. 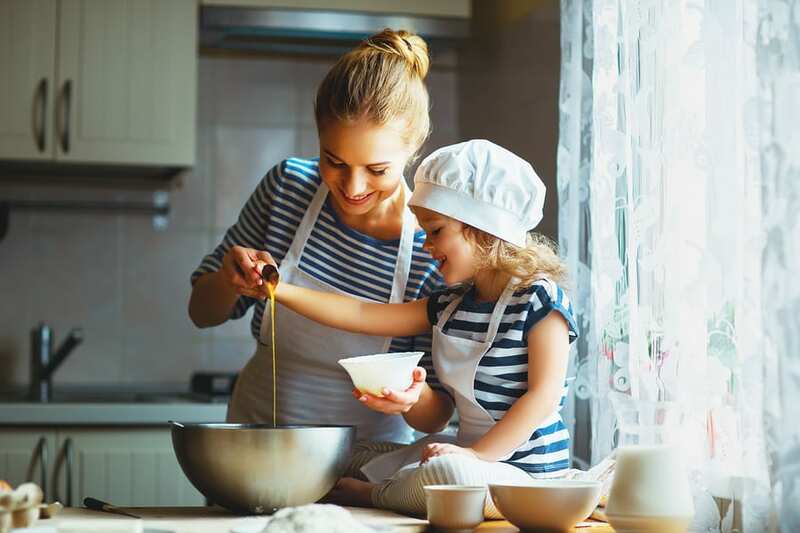 As women, we tend to give, and give, and give some more taking care of people at home, at work, and in the community. 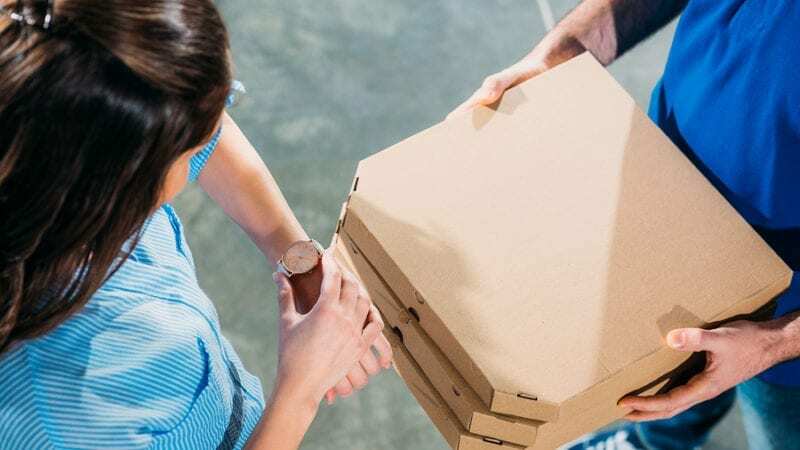 Now that we’re well into the holiday season – aka the season of giving – we ramp that up and our time revolves around (likely unreasonable) expectations about parties, shopping, gifts, and spending time with friends and family. In the quest to hit the deadline, find the perfect gift or attend the next party many of us lose sight of our own health and wellbeing. 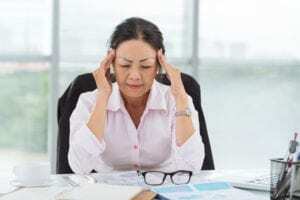 If we’re not careful, we find ourselves overwhelmed, too exhausted to do or give another thing, and waiting anxiously for the holidays to be over. With our “tend and befriend” approach to stressful situations, women can be your strongest allies and your greatest source of encouragement this time of year. A quick cup of coffee with a friend could help you prioritize and develop a path forward. A quick phone call with a colleague can give you an action plan and make your unmanageable situation suddenly doable. We have been taught to conceal our vulnerability. But when we act authentically and invite others to help us solve a problem, we discover strength and power to accomplish things far beyond anything we can do alone. Those are all great, effective ideas, and I want to add: Reach out to other women. Especially during the holidays, each of us needs to support other women everywhere. Not one of us is as creative, skilled, and powerful as we are together. Ultimately the most important thing you can do for your health and well-being this season – and every other day of the year – is to be true to yourself. You really can’t be all things to all people. No, you can’t. So take a break, take a breath, and nurture yourself and your connections. You deserve a happy holiday season, too! And the better care you take of yourself, the more you will have to give. It’s a miracle! Who Are You, As An Individual? 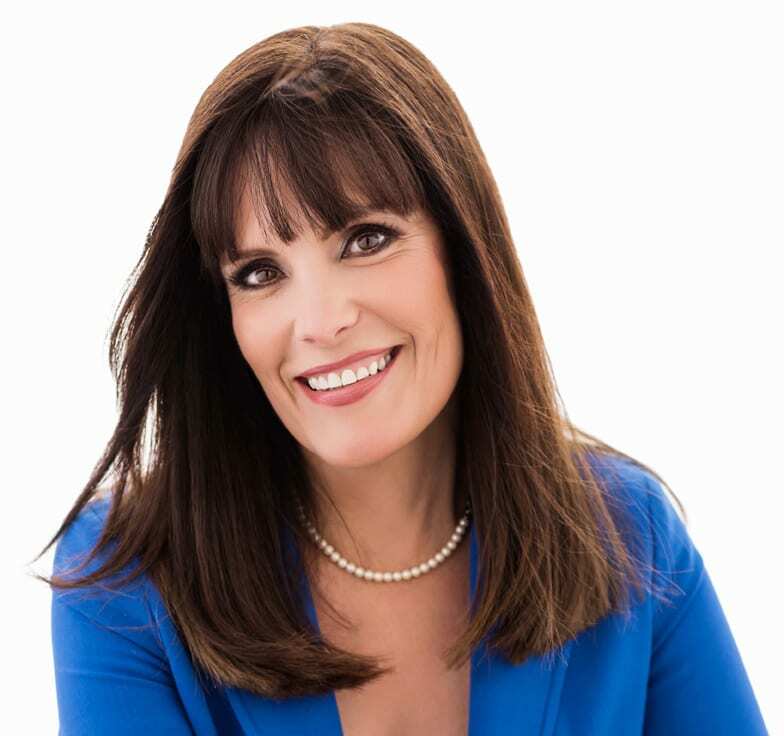 Who are you is the first question coach and author Elizabeth Suarez asks her clients. She said that women almost always answer in terms of who they are married to, or who their children are. Elizabeth said the key is you can’t have what you want until you decide who you are as an individual. Yes, you have relationships with those other people, but who you are, what your interests are and how you feel about your family all combine to unleash your negotiation potential for yourself. Elizabeth praised her mother for not giving up after her father died. Her mother was a tremendous negotiator for everyone else, but not for herself. 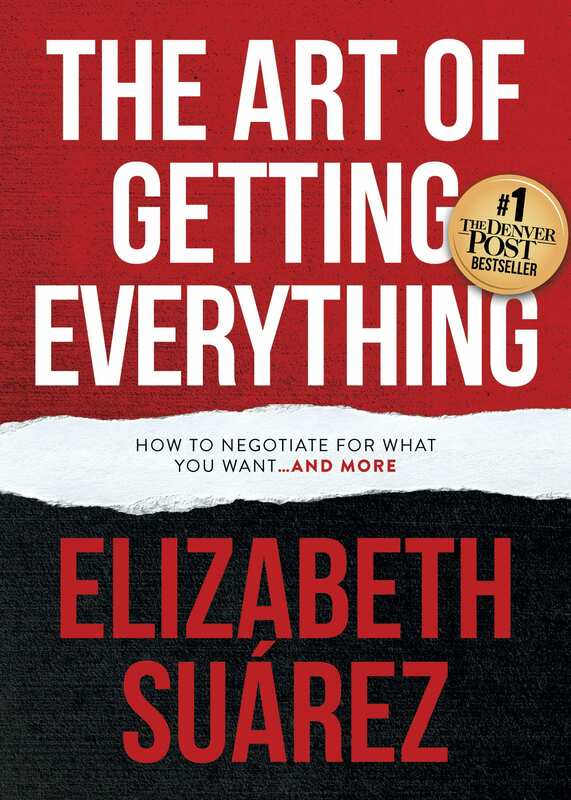 Elizabeth worked her way up the corporate ladder in the days when she was told to keep her place and put in her time. She was told when she reached a certain level, people would listen to her ideas. Today’s world is changing and she feels that we all have the right and responsibility to contribute, but first you have to figure out who you are. The foundation of getting everything is figuring out how to navigate the intersections. Elizabeth encourages her clients to get outside of their bubble and network with others to get help negotiating these intersections. In this interview, she used the example of someone who is expecting a baby and was just asked to be the CEO of a major company branch. This woman doubted her ability to do it all when she remembered meeting another woman who had twins while launching a new international division that moved several million dollars in revenue. Elizabeth advised us to learn from other people’s stories, to reach out and listen to those stories and share ours as much as possible. You never know when you need that valuable lesson or that intersection of abilities to help you through a difficult time. It’s important to remember that you can have it all, but maybe not all at the same time. Since Elizabeth spends a lot of time flying, she used the instructions from the flight attendant as the most crucial bit of career advice. Take care of yourself and the rest will fall into place. Start by doing this one thing for yourself–listen to this podcast. Then go to Elizabeth’s website and download the free “Negotiation Unleashed” Workbook to think through the key pieces to your net worth. 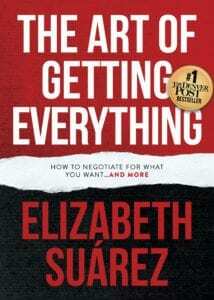 Buy her book, and get started developing your skills in a new art form, The Art of Getting Everything. Right now, in every sector, women are making their voices heard. We are taking to the streets, gathering on social media, and organizing through numerous initiatives and movements. We truly are in this together, and we need to be in order to move to the next phase. While some may think this rise in conversation and feminine power may have started with the presidential election, or even with #MeToo, women gathering to further the common good started much, much sooner. In 1848, a group of almost 200 women met at the Wesleyan Chapel in Seneca Falls, New York. The first ever women’s rights convention kicked off with. Reading of the “Declaration of Sentiments and Grievances” which detailed the injustices inflicted upon women in the United States and called on women to organize and petition for their rights. The Seneca Falls Convention was followed two weeks later by an even larger meeting in Rochester, New York. National women’s rights conventions were held annually after that, providing an important focus for the growing women’s suffrage movement. Through gatherings in Seneca Falls, a movement was born, and after years of struggle the 19th Amendment was adopted in 1920, granting American women the constitutionally protected right to vote. The struggle continues as we work to close the gender pay gap, claim our rightful place in leadership positions, and live lives free of oppression and harassment. And guess what? In order to get that done, women are still gathering. 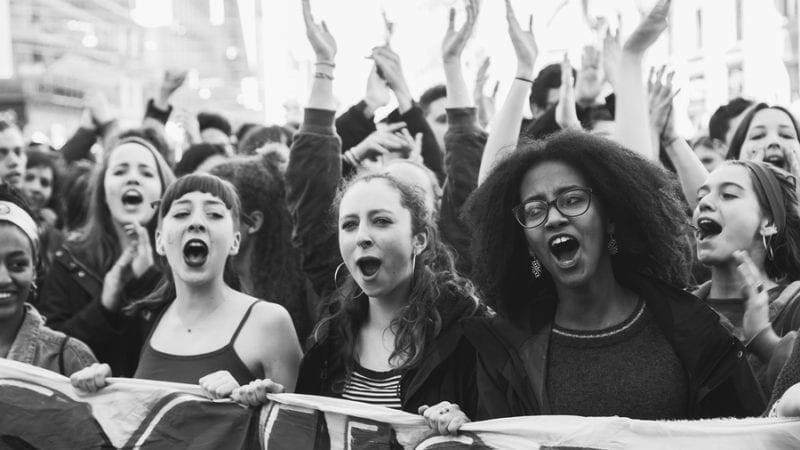 The Women’s March saw 4.6 million women and men take to the streets and march to raise awareness on women’s rights as human rights in 642 cities on every continent on the globe. The anti-sexual assault and women’s empowerment movements #MeToo and#TimesUp have also shifted the conversation on women’s issues, and elevated the global consciousness surrounding the obstacles women encounter in their daily lives. Numerous organizations have also taken root in the past decade to further the needs of women, and help us claim our fair share. For example, our very own Women Connect4Good Foundation supports and connects women to empower and lift up all women to break through barriers that prevent them from achieving sustainable, fulfilling lives and claim their power to change the world. Take the Lead prepares, develops, inspires, and propels women to take their fair and equal share of leadership positions across all sectors by 2025, and their unique strategies create the breakthrough from where women have been stalled at 18-20% of top leadership positions for two decades. Actually, when it comes to accelerating women’s leadership today, the sky is the limit. We’ve got Lean In, Emily’s List, Catalyst, Fem. Inc, Ellevate, Bossed Up, See Jane Do, SHEROES United, and more. And all of us are working towards the same goals – women’s empowerment. With training, tools, supports and awareness I truly believe that together we CAN make a difference. The “I Am a Superwoman” Equality and Empowerment Summit, on Friday, August 24, is another great addition to the powerful movements happening all around us. 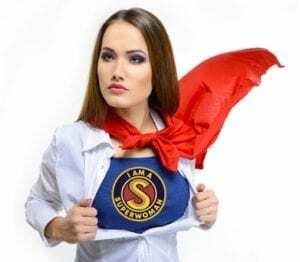 Why is “I Am a Superwoman” important? Because women, sometimes at great personal risk, have fought for our rights in this country for nearly 200 years. However, our world is still divided and full of hate. In fact, in the United States 1.3 rapes per minute still happen. It is up to us to continue the fight, and work together to change the status quo. “I Am a Superwoman” encourages us to assume personal accountability and individual responsibility for the future of our planet. It’s clear that a foundational shift in culture and leadership is essential. “I Am a Superwoman” highlights the need to recalibrate our societal mindset so we can move forward to create a better world for our children and for our community. It’s all about Equality. This is not a Partisan issue, it’s a Human issue. This movement is a critical step forward from the #MeToo and #TimesUp movements and aims to preserve and nurture the relationship between men and women. It’s time to re-direct our energies toward long term prevention focused on education and training programs that will stimulate positive change. “I Am a Superwoman” invites women to build their legacy, and through the Superwoman Video Challenge urges women to prepare their Personal Bill of Rights. Wherever you are, simply pick up your phone and shoot a selfie video saying, “Here’s to the Superwomen who started the Equal Rights movement, and here is my personal Bill of Rights,” and share three to five things that you feel strongly about. Then you can post your video on Facebook, Twitter or Instagram and include #IAmaSuperwoman, #NowItsUp2Me, and SuperwomanDonations.org. Proceeds from the “I Am a Superwoman” activities will go to 501c3 organizations like SHEROES United, an organization my Leading Women co-author M. Bridget Cook-Burch founded that works tirelessly to help victims of sexual assault, domestic violence and human trafficking. Remember, the momentum we gain when working together is unlike anything in the world. To find out more and get your ticket for the “I Am a Superwoman” Equality and Empowerment Summit, or to learn more about any of the “I Am a Superwoman” activities, go to SuperwomanCampaign.org. While 2017 was a tough year, it was also one of a great deal of progress. 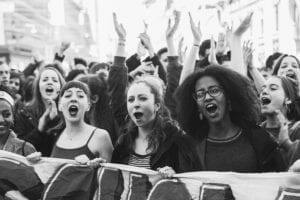 It was in 2017 that women made their voices heard in unprecedented numbers. From the Women’s March on Washington to the floodgates opened with the #MeToo movement, women are proving that they are no longer willing to remain silent, and the momentum of change is fast and far reaching. “What it means is that we have an opportunity to really turn this next year into a year of change affecting women,” she added. So how can we best position ourselves to help make that change? Here are a few places we could start. Support the women speaking out. As Melinda Gates writes in TIME, “2017 is proving to be a watershed moment for women in the workplace and beyond. Instead of being bullied into retreat or pressured into weary resignation, we are raising our voices—and raising them louder than ever before. What’s more, the world is finally listening.” Right now, women are feeling emboldened by the actions of others to step up and say, “me too” and to share their stories. Many high-profile men facing sexual misconduct allegations right now aren’t denying them. The allegations aren’t limited to the glitz and glamour of Hollywood, or the hallowed halls of Congress. The problem is far more wide-reaching than one man, or even one industry. This has impacted women in every industry and every walk of life, and is finally experiencing the spotlight of public attention and, more importantly, action, it deserves. Right now, we need to listen to the women who are speaking out, and create environments that are safe for all women and men. Support the women running for office. EMILY’s List, VoteRunLead, and She Should Run have all reported a huge surge in women interested in running for office. As these women muster their courage and support and take the first steps to run for office, it demonstrates that this truly is a woman’s time to lead. It’s important in this time of unprecedented female engagement that we support the women who are running, and those who have run, perhaps already won, already hold office, and are serving in their communities, states, and nation on every level. We need to celebrate the women who have paved the way, and support those who prepare to follow their lead. Make your voice heard. Whether in the workplace or in the community, it’s up to all of us to recognize what makes us effective communicators, learn from our differences, and create a supportive, collaborative environment where women and men have equal floor time. As women, we can’t unlock our full potential in the workplace, in the community, or in our homes until we gain recognition for our ideas and build a world where equality isn’t the exception, but the rule. Work towards gender equality. The solution to much of what has been coming out of the #MeToo movement could be solved by having more women in leadership positions. The problems we face today – from our local communities to the workplace, and the global stage – require diverse leaders who have a variety of skill sets. Women bring the additional skills needed, as well as a different perspective to drive effective solutions. In short, female leaders change the game. By recognizing that we do indeed need more women in leadership, and working together to help women gain confidence and the skills they need to overcome barriers and reach their goals, we truly can change the world into one of 50/50 parity, where both genders value each contribution and shed the harmful effects of living in a male-dominated culture. 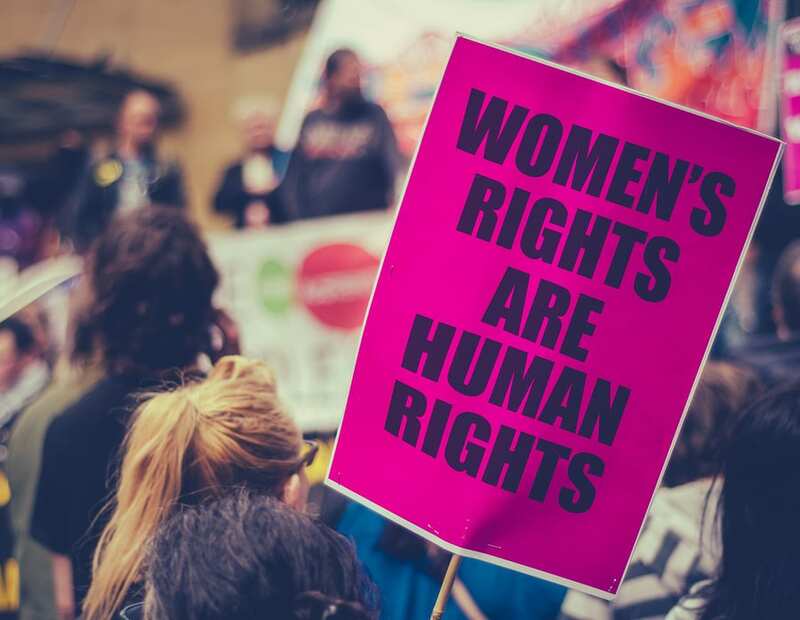 In 2017 we have seen an unbelievable progress towards gender equality, however, we will still need to continue to fight and work hard to claim equal rights for women. That is going to take all of us working together, and joining forces with the women and men in our lives who, like us, feel that equality shouldn’t be a lofty goal, but a way a life. To really change the status quo, women need to make their voices heard. Across the country, women are tackling that goal on a large scale (say by running for office), or by voicing their opinions in the workplace and in community organizations. Whatever the venue, speaking out is key, especially if you want to advance. Interestingly, a new study has found it isn’t just what you say that helps you get ahead, but how you say it. Research has found that speaking up with information intended to help your group has a ton of benefits. It can improve performance, help come up with creative solutions, and address (and even avoid) issues that might hold your group back. And by speaking up, research suggests that not only will you help your group get ahead, it can help you emerge as a leader. In efforts to better understand the power of using your voice, researchers Elizabeth McClean, Kyle Emich, Sean R. Martin, and Todd Woodruff found themselves wondering which matters more: who speaks up, or how they do it? In a search for those answers, the group recently undertook two separate studies, and their results were eye-opening. Sean R. Martin writes in Harvard Business Review that they found those who speak up can gain the respect and esteem of their peers, and this increase in status made people more likely to emerge as leaders of their groups. However, these effects happened only for some people and only when they spoke up in certain ways. Their findings echo research that shows that people respond differently when men and women engage in similar behaviors, which suggests that women who speak up and share ideas may not see the same benefits as men. Proving yet again that there is a definite strategy behind effectively making your voice heard. This research highlights the need for us to understand the different ways men and women speak. Men are very direct, use and expect one-word responses, women want the story behind the answer. Relationship building and collaboration lie behind women’s communication, while men communicate to get the job done. My Leading Women co-author Gloria Feldt cites the work of Simon Sinek, who points out the benefit of explaining why before making a suggestion. 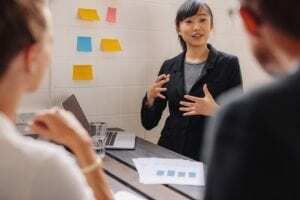 For example, by first stating, “I have an idea for improving our overall productivity as a group,” before making their proposal, both women and men found their audiences responded better to their ideas. Seek help from the meeting facilitator. Whether in the workplace or in the community, it’s up to all of us to recognize what makes us effective communicators, learn from our differences, and create a supportive, collaborative environment where women and men have equal floor time. As women, we can’t unlock our full potential in the workplace, in the community, or in our homes until we gain recognition for our ideas and build a world where equality isn’t the exception, but the rule. I’ll be happy when I get married or find that perfect relationship. I’ll be happy when I make more money. I’ll be happy when I have kids. I’ll be happy when I lose weight. I’ll be happy when I change jobs/get a new job/get promoted. Where is your meaning? Is it in your child’s laugh? In your work? In your community? What about your hopes? Your dreams and ideas? Your ambitions? What actions can you take to bring more meaning to your life, and dedicate yourself more fully to that which you feel most passionate about? Do something nice for someone. Go out of your way to help another woman. Reach out into your community and volunteer. Take five steps each week towards your personal goals. Spend time with friends or family. There is no time like the present to take control of our power and perception, and create happier, healthier lives. We can tap into our own personal meaning by shifting our actions, expressing gratitude for what we already have, and taking time to be kind in words and actions toward others. The rewards of taking these actions and accepting responsibility for our own happiness are immeasurable. But daily setting this course toward these goals in every action you take will keep your steps on the path of personal happiness without distraction from society’s conflicts and crises. And your candle can share its light with others working toward their own happiness and sharing their light as well. We can probably all agree that we want our daughters to be “nice” above just about anything else. While it’s a given that kids need to be taught to be friendly and have basic manners, many young girls are expected to prioritize niceness over expressing unhappiness or distaste. That pressure to please doesn’t let up for women entering the workforce. 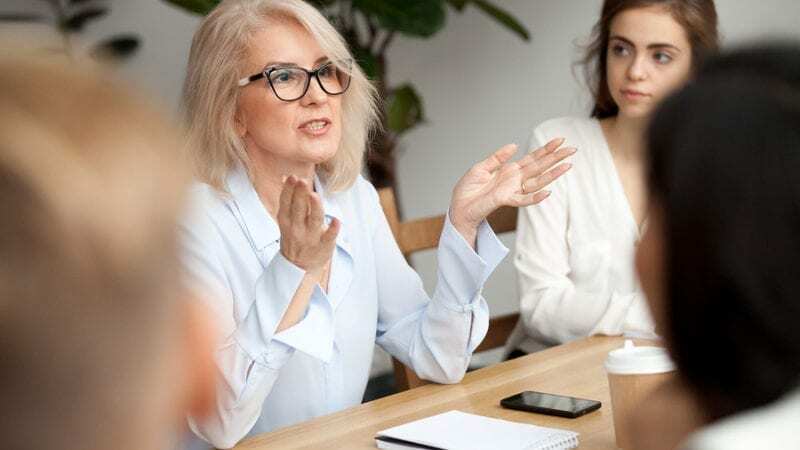 In fact, a new study to be published in Human Resource Management Journal finds that for a woman to be considered confident and influential at work, she not only must be viewed as competent, she must also be liked. For men, being liked ― defined in the study as exhibiting pro-social traits, like kindness and helpfulness ― did not matter. 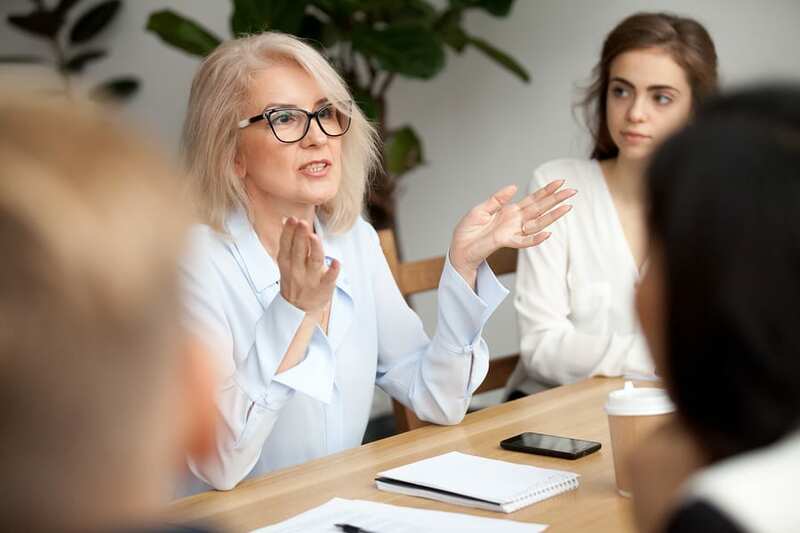 A recent Pew Research Center survey on women and leadership finds most Americans find women to be indistinguishable from men on key leadership traits such as intelligence and innovation. In fact, many of those surveyed think women are actually stronger than men in the key areas of compassion and organization. However, women continue to feel the pressure to focus not only on the job, but on how they can be nice, approachable, and all things warm and fuzzy while doing it. Frankel shares eight great tips to help women step into leadership in Leading Women, including tips on how to get in the risk game, ways to think strategically while acting tactically, ways to resist perfectionism, and how to consciously build your leadership brand. Simply implementing two or three strategies can create a dramatic shifts in how you feel about yourself, how others perceive you, and the impact that you make at work and in your community. In order to strike a balance and lead authentically, we need to recognize the full potential of women, and throw antiquated, stereotypical views out the window. We need to embrace our power, take our seat at the table, and lead with our experience and abilities first, personalities second. It is time to level the playing field, achieve full equality and change the world.